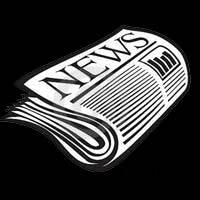 President’s Remarks – July 2017 | F.F.A.M. 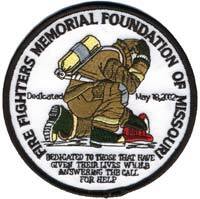 This newsletter article brings me to the annual Fallen Fire Fighters Memorial Services held on May 20-21, 2017, in Kingdom City. I believe this is the most important activity I am involved in every year and will commit a large portion of my article to. As they have done for many years, I thank Chief Greg Lubbert of the Central Callaway Fire Protection District and Chief Lana Karhoff of the North Callaway Fire Protection District that spent many hours cleaning all of the granite walls and other tasks the Thursday night prior to the services. Chief Lubbert and Chief Karhoff have faithfully overseen this task year after year. A special thank you to Lieutenant Steve Nichols from the Little Dixie Fire Protection District for overseeing the maintenance on the memorial again this year. Lieutenant Nichols always has everything looking good for the annual services. There are many people that helped Steve with this task, including many of the foundation board members. Thanks to everyone. Many hours were also given for the Candlelight Service and the Sunday morning services. Keith Smith, Warrenton Fire Protection District; Bill Albus, Little Dixie Fire Protection District/Missouri State Fire Marshal office; and Linda Coleberd, Hannibal, all worked many hours gathering information and developing the programs for both services. I thank each of you! The candlelight honor guard was provided by the Little Dixie Fire Protection District. Assistant Chief Kurt Ploch of the Boles Fire Protection District did an excellent job with the message to over 200 attendees at the Candlelight Service. Thanks goes to Blue Ice Productions and Chairman Keith Smith from Warrenton, Missouri, who provided all of the recording and video services for the entire memorial, as they have done for many years at no charge to the Memorial Foundation. Many, many thanks to Greg and Rose Rosebrock! Our history this year was documented by Gail Hagans and Don Vaucher. Gail and Don are usually at every event and photograph all the activities and provide FFAM with prints and CD’s and never ask for recognition or payment for their services. Thank you Gail and Don. This year we were honored to have Mr. J. Tim Bean the Fire Marshal of the State of Missouri attend and present proclamations to the 2016 Line of Duty Death family members assisted by his wife Judy and Chairman Keith Smith. Brian Zinanni was our keynote speaker at the Sunday morning memorial service. I heard many compliments and you really had to be there to hear his message and get it. Thank you! David Hedrick, Director of the University of Missouri Fire and Rescue Training Institute gave our opening invocation and as always did an excellent job. David always accepts my request to help and I appreciate his involvement, and yes I will help with whatever it takes. Our honor guard commander this year was Chief James Ludden from the Bolivar City Fire Department. Commander Ludden did an outstanding job coordinating honor and color guard and pipe and drum members from many fire departments throughout Missouri. Thank you to Chief Ludden and members of the many honor guards and pipe and drum members for your service. I appreciate all of the memorial board members that helped in so many ways throughout both services by, reading of names, bell ringing, and the placing of wreaths and turnout gear. A special thank you goes to Gary and Sheri Berendzen for hauling the chairs from and to Jefferson City, and to the other individuals that helped set up the chairs for use at both services. And again, a special thanks to Glenn Dittmer and Janet Cain that come every year to help with anything asked of them. True volunteers, what more can I say. Also to Don Hahne and Steve Paulsell who faithfully for many years have performed Taps flawlessly to close our services. Ladder trucks were provided by Chief Jason Turner of the Holts Summit Fire Protection District and Chief Mark Schofield of the Jefferson City Fire Department to fly the US Flag at the entrance to the memorial walkway. Thanks to Pat Placke of the Washington Volunteer Fire Company and Charles Staats who provided their antique trucks again. Thanks to all. We also appreciate Christopher Benne and Air Methods Helicopter and the flight crew for the last minute fly-over and salute to our fallen comrades. Thank you to the FFAM Auxiliary for providing and distributing the ribbons and to Harriett Vaucher and the FFAM Auxiliary for having statues and souvenirs available to all attendees and to Dr. Baker and his wife for the Field of Flags. The Baker’s represent us all over the state, and I appreciate their support. A special thanks to Rick Wilson and his wife for all of the cookies and special treats Saturday night for all that attended. They have done this for years and are great friends and supporters of the fire service. There were many more that helped in some way, and I thank each one of you. I apologize if I have forgotten anyone, as I surely have, because it takes so many to get ready for such an event. To those that I did not mention by name, I appreciate your faithfulness every year. 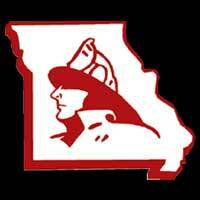 I understand another excellent Summer Fire School was presented in Jefferson City by the University of Missouri Fire and Rescue Training Institute. Congratulations to David Hedrick and the MU FRTI staff. The FFAM State Fair Fire Department Committee has been working many hours preparing for the 2017 State Fair. A work weekend is scheduled on July 8 and 22. Everything is shaping up for another great time at the 2017 Missouri State Fair. A full staff of FFAM members from throughout the state have been selected to work and I am looking forward to another great time seeing old friends and making new ones. 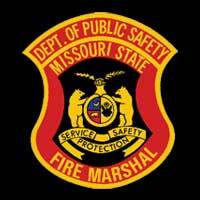 Chief Donnie Rogers invested many hours selecting and preparing his staff to lead and provide the professional fire and rescue/medical services the patrons of the Missouri State Fair have become accustom to. 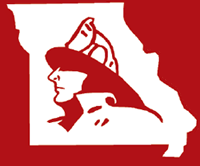 I am very thankful to have all of the FFAM officers, directors and assistant directors, committees, and many others serving the needs of the fire service of Missouri.